Superior Quality Service. Exceptional Value. Pro-Insulation, A Division Of Pro-Line Services, Is A Locally Owned And Operated Company Based In Valley, Alabama. Services Throughout The East Alabama And West Georgia Area. Pro-Insulation Is Your Trusted Insulation Contractor For Virtually Any Project From The Attic To The Basement, Whether It Be For New Construction, Or Remodeling An Existing Structure. At Pro-Insulation, We Offer A High Level Of Expertise To Ensure That We Provide All Of Our Customers With Superior Quality Service That Is Sure To Satisfy Your Needs. 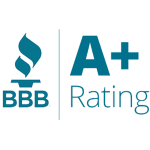 Our Commitment To Quality Workmanship And Exceptional Value Has Earned Us A Strong Reputation In The Residential, Commercial And Industrial Markets. We Are Fully Licensed, Bonded And Insured. Each Person On Our Team Is Exceptionally Trained And Certified. We Are Here To Assist You On Your Project No Matter How Large Or Small.